Located at 149 Peachtree Circle, the Peachtree Circle Apartments have long stood as an under appreciated relic of Atlanta's past. Named for accomplished educator Rosa Woodberry, the structure was built in 1914 as the Woodberry Hall school for girls. Ms. Woodberry would go on to become the first female graduate from the University of Georgia in 1927. The ionic columns surrounding the building came from the demolished antebellum Leyden house. The Leyden House was designed by John Boutell for Austin Leyden in 1858, and was one of the residences in the 200 block of Peachtree Street. Leyden was the founder of A. Leyden and Co., the predecessor of the Atlanta Machine Works. The columns were given to the Woodberry school by Asa Candler, who demolished the Leyden house in 1913. The apartments are considered extremely endangered as they have been placed for sale and stand on a land with large development potential. 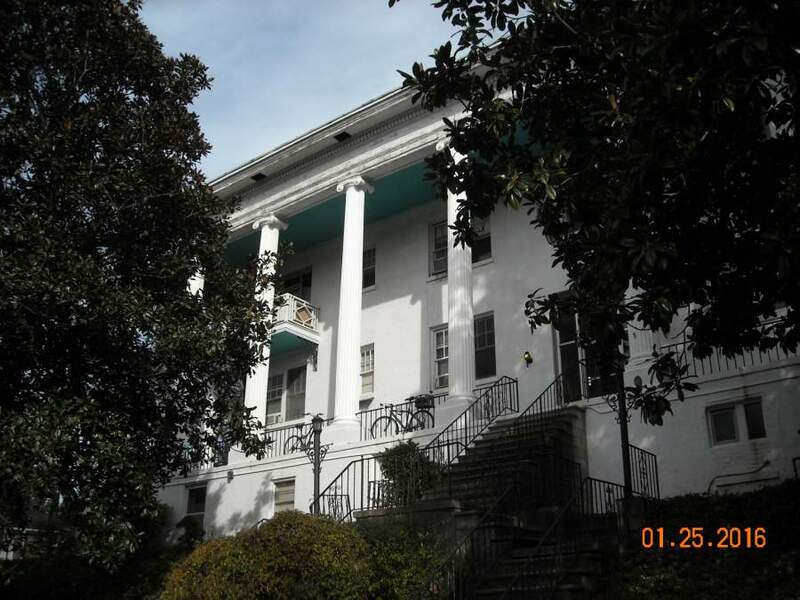 The Atlanta Preservation Center advocates for the preservation of this structure, as it represents elements of Atlanta's history that would be irreplaceable if lost. A link to to more information about the Peachtree Circle Apartments' history can be found here, with a link to more images here.